This week, Delaware and New Jersey beach towns are the places to be to eat gluten free. 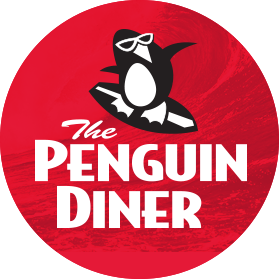 Options at The Penguin Diner in Bethany Beach (105 Garfield Parkway, 302-541-8017) include omelets, French toast, breakfast sandwiches, wraps, Cuban sandwiches and fries. Gluten-free items are marked on the menu. Just down the block, The Frog House (116 Garfield Parkway, 302-539-4500) kitchen staff prepares gluten-free pancakes on a separate part of the grill and serves crab cakes. Bethany mainstay Sedona (26 Pennsylvania Ave., 302-539-1200) can accommodate gluten-free diners, grilled eggplant and scallops are among the gluten-free options at nearby Patsy's (121 Campbell Place, 302-537-2433). Other items can be modified. Nonna's Trattoria in Ocean City (755 Asbury Ave., 609-840-6440) is now serving gluten-free pizza and pasta. In Chalfont, Lucas Pizzeria (3324 Limekiln Pike, 215-997-8500) prepares its gluten-free pizzas using separate ingredients, utensils and bakeware. Philly.com reports that gluten-free-friendly Harvest Seasonal Grill is adding a location in November at the Moorestown Mall, next to Distrito, which is set to open on July 8. By the end of the year, Aldi intends to reintroduce the most popular items from its recent limited-time Live GFree private-label product line, which I wrote about back in May. Select stores in Chicago, Minnesota, Pittsburgh, Baltimore and New York will continue to carry the line for the remainder of 2014. The newest gluten-free meals from Evol Foods are Panang Curry Chicken and Sriracha Chicken, both available at Whole Foods markets. 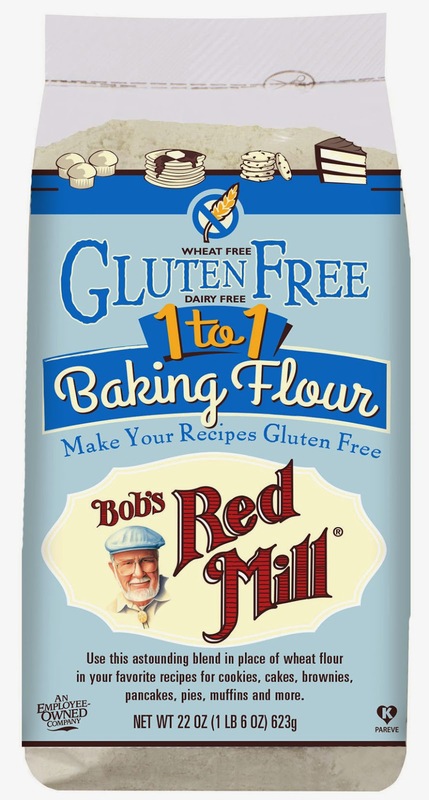 The new Gluten-Free 1-to-1 Baking Flour from Bob's Red Mill, made in a dedicated facility, is a blend of whole-grain brown rice flour, whole-grain sorghum flour, sweet white rice flour, potato starch, tapioca flour and xanthan gum. It enables bakers to follow any baking recipe and directly replace the amount of traditional wheat flour called for with the new flour. The 22-ounce bag has a suggested retail price of $9.45. There's a downloadable $1-off coupon at the company's website. As a reminder, you can e-mail me with restaurant and product tips and get additional content by following me on Twitter and Facebook. With the Gluten Free Philly app for iOS and Android devices, find more than 1,300 area gluten-free-friendly businesses on the go, search by cuisine or neighborhood, make reservations and more! Found the McCormick GF Taco and Gravy Mixes at the Walmart in Deptford NJ on Cooper Rd.